Even after the vastly successful D-25T gun was chosen for the IS, experiments with the armament of the IS continued. Immediately after the failure of the 107 mm ZiS-6, Grabin's construction bureau hedged their bets on a 100 mm gun based on the naval B-34, similar to the S-3 field gun already being developed. The resulting tank gun was indexed S-34. It also had a mechanism to ease loading and increase the rate of fire. The D-5T-85BM, a higher power 85 mm gun, was also in the running, as well as another 100 mm gun, D-10T. Since the IS-85 and IS-122 were renamed to IS-1 and IS-2 by this point, these new prototypes were named IS-3* (Object 244, with a D-5T-85BM), IS-4* (Object 245, with a D-10T) and IS-5 (Object 248, with an S-34). 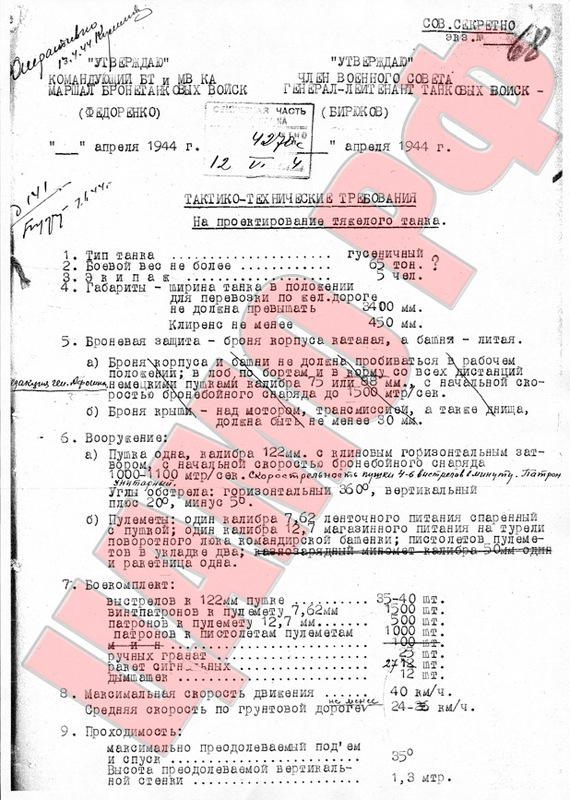 The IS-3* was rejected due to insufficient muzzle velocity, and thus penetration, of its gun. Initially, out of the remaining designs, the IS-5 was going to win the title of IS-100 and begin production, but both ended up being built. The IS-4* and IS-5 can be distinguished by the position of the commander's cupola: the IS-5's gun required a gunner to the right of the gun, flipping the internals of the turret. The turret also would contain a loading mechanism and a gun stabilizer, but they were not present in initial trials. IS-5 was deemed superior, due to better ergonomics of the loader and gunner, but both designs had some problems that had to be resolved. The D-10T gun was more reliable, but made the loader's job more difficult, and only allowed to carry 30 shells. The S-34 threatened to smack the commander when it recoiled. It was recommended to move him even further right. In October of 1944, the IS-5 turret was finalized. With its loading mechanism and stabilizer, it was superior to every existing heavy tank in terms of rate of fire and accuracy on the move. 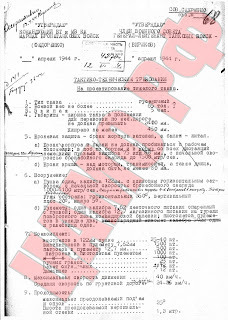 However, in Malyshev's letter to Beria on October 18, 1944, he wrote: "...[122 mm guns] can now fight any German tank at a distance of 1700 meters and greater..."
"[The D-25T] penetrates a Panther frontally at 2500 meters, and that is not the limit. The 100 mm D-10T tank gun ... penetrates the front of the Panther at only 1500 meters, which is the maximum distance. ... The results are preliminary, as the D-10T has already fired 400 shells while the D-25T is new, but the difference is so drastic, that it is unlikely to change. " The report explains this with the lower muzzle velocity of the D-25T: at such a large range, the heavy 25 kg shell has no problem penetrating the Panther's front, while its higher arc lets it impact the front of the Panther at a favourable angle. The D-10T's shells are faster, and therefore fly flatter. "Another question that is prompted by the experiments at Kubinka is the question of large muzzle velocities, namely of 85 mm guns with muzzle velocity of 1000-1100 m/s. Experience shows relatively poor effectiveness of the German 88 mm gun against the German Panther tank. At the same time, we know that such a gun would be of similar effectiveness to a 100 mm gun with muzzle velocity of 900 m/s. Work on these guns is conducted by TsAKB and factory #9, but their effectiveness against a real German tank is increasingly doubtful, especially considering that we cannot place this gun in a turret smaller than one that requires the D-10T or S-34 gun." The mass was incredibly high compared to any IS tank before it, 65 tons. The armour was initially supposed to resist all German 75 and 88 mm guns, firing at up to 1500 m/s (I wonder where they managed to find those), but that requirement is struck out in the document. The tank was to be armed with a 122 mm gun, capable of 4-6 RPM, with one-piece ammunition. and 1100 m/s muzzle velocity. One 50 mm breech-loading mortar was planned (a feature experimented with on all IS tanks), but also crossed out. The tank would carry 35-40 shells for its main gun, 1500 rounds for its 7.62 mm coaxial machine gun, 500 rounds for its 12.7 mm AA machine gun, 1000 rounds for SMGs, 25 grenades, 27 signal flares, and 12 smoke bombs. All of this was planned to move at 40 kph, powered by a 1000 hp engine. The IS-6 didn't quite measure up to these requirements, but, several years later, the IS-7 did. 50mm mortar? I know the Commonwealth armies used one as a squad- or platoon-level support weapon and IIRC the Soviets had something very similar; the Brits and Yanks also liked to put them in tanks if memory serves for tossing smoke bombs. Didn't know the Soviets liked the idea well enough to consider following suit, nevermind now that late to the war.